Hailey is our newest assistant but she's picked up on orthodontics very quickly. Hailey was raised in Boise, but moved to Hawaii and then San Diego. Coming back to Idaho has been a great experience but she's had to buy alot of warm socks as it's not nearly as warm here as it is in Hawaii! Hailey also happens to be related to Dr. Lineberry. Hailey's father is Dr. Laura's husband. We like to keep it in the family around Lineberry Orthodontics! Hailey has a two year old named Maddox. He loves garbage trucks. He can spot a garbage can from the backseat going 55mph. We love Maddox! Gabby has completely integrated into our team at lightening speed! She has taken on the task of being the front desk face with only a smiling face. 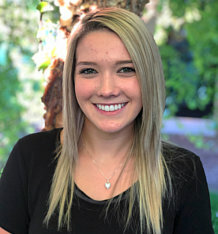 Gabby graduated from Carrington College and is so happy to have found her dream job of being Scheduling Coordinator at Lineberry Orthodontics. We are so happy to have her here. She’s joined our team seamlessly and positively . Gabby has two girls who we have found to be completely adorable. Aydria is five, and Emery is two. They are pretty cute and we are always happy to see them in the office. Gabby is pretty patient with all kids. We’re assuming that shes’ adapted to all situations coming from a family of nine. That’s the Brady Bunch on steroids. And she loves tacos, by the way. Bonnie comes to us all the way from Mountain Home! So while the rest of us travel one day, Bonnie travels three because she loves working for Dr. Laura so much she’s willing to make the drive! Her hometown is Bruneau. You may ask, “Where is Bruneau, Idaho? Go to Google Earth and search “Bruneau Sand Dunes” and you’ll find her little town. 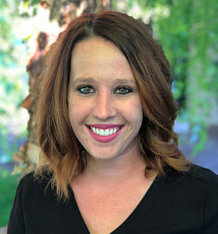 Bonnie has been an orthodontic assistant for about a year, but she’s got a keen eye and knows what a perfect smile should look like. She’s also very gentle! When Bonnie is not working at our busy office, she’s working at home at her busy zoo! Bonnie’s the mommy to zero humans (she’s not married to her long time beau, Gunner…YET!) but is the happy parent to a lot of furry friends. She’s got a fetish for Blue Heeler/Border Collie mixes and has four of them (that’s a lot of really smart doggies living under one roof) named Marla, Mac, Chloe and Hank. And there’s also the lone kitty, Kylie. We’re guessing she feels extremely outnumbered. And probably outsmarted, too! Bonnie is easy to please as she’s one of the most positive people we’ve ever met! Her favorite food is peanut butter and grape jelly and her favorite place to vacation is a stroll in the Redwood Forest followed by a walk on the beach of Northern CA. She also loves to camp, ride horses and ride horses with engines. She’s a dirt biker but always wears a helmet. Bonnie’s greatest joy comes from seeing the excitement on our patients faces when they notice changes in your smile. We love Bonnie, and we know you’re going to love her too! 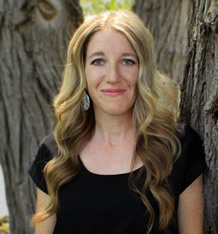 Stacy currently lives in Nampa but is from Emmett, Idaho. She graduated from Emmett High School and her family still lives there. She has a fiance named Jesse, and they have a busy two-year-old little girl named Olivia. She also has a dog named Beatrice. It’s a boy ... named Beatrice! Her dog is a pug/boxer mix. Her hobbies include hiking, road trips, fishing, camping, shopping, and spending time with Miss Olivia. She also enjoys surfing Pinterest and making things she finds. Her favorite place to visit is the coast because she loves the ocean, and her favorite food is pasta — any kind! Stacy is a girly-girl: Her favorite color is PINK! You may notice that Stacy has been away for a little while. She just had a baby! He a healthy baby boy named Ashton. Welcome to the family, Ashton! Rayo returns to Dr. Laura’s office after having left to be a stay-at-home Mom for a few years. We are so happy to have her back! Rayo brings 15 years of experience to her job and was originally trained by the Red Cross. 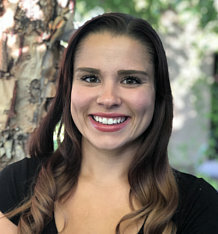 She loves working with Dr. Lineberry and her fellow assistants, but her favorite part about working at Lineberry Orthodontics is seeing her patients’ big beautiful smiles when they complete treatment. Rayo loves camping, skiing, gardening, and chasing her Schnauzer Baxter around the yard. When she’s not working or gardening, she’s dreaming of her next trip to Cancun, Mexico ... hanging on the beach with her husband Brian and her 12-year-old son Riley. Kim is our awesome laboratory technician! When you get your braces off, you’ll get a really cool retainer made especially for you by Kim. What makes her such a great retainer maker? Kim has a Bachelor of Fine Arts from Boise State! She’s an artist by trade and loves bringing her artistic talent to every appliance she makes. Kim has quite the resume. In addition to her degree from BSU, she also is a proud ex-crew chief of F-4E Phantom fighter jets for the US Air Force. The sky’s no limit for Kim! She has been working in the orthodontic field for the past 16 years. Kim is married to a super-cool guy named Jeffrey, and has two grown daughters, Lana and Candy. She also has a poodle named George and a tabby cat named Jake. When Kim is not working at Lineberry Ortho (by the way, she loves working here because of the caring and supportive team that’s “good at what they do”), she’s hanging outdoors near water. Water is a must, since she’s a self-proclaimed real-life mermaid! She likes being on the beach with friends and family. Kim also enjoys jewelry making, working with clay, and playing tennis. Her favorite food is cookies, with or without a glass of milk. She doesn’t have any strict rules when it comes to the milk, though, and is happy to eat any cookie dry. 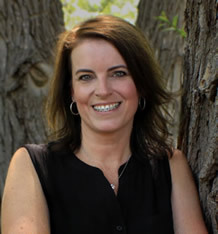 Kelli grew up in Great Falls, Montana. She went to Spokane Community College for dental assisting school after graduating from Great Falls High School. She loves living in Meridian and is married to a great guy named Mike, and loves being stepmom to Mike’s son Kaden. 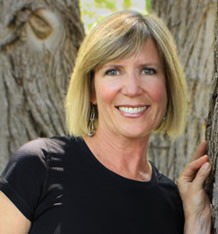 Kelli has more than 19 years of experience working as an orthodontic assistant. She loves Debond Day because her greatest reward as an orthodontic assistant is watching smiles change for the better! Even though Kelli’s favorite color is black, she loves a big white Lineberry Ortho Smile! Kelli loves running and watching movies. She has two movie-watching buddies in her beloved Pugs, Dooley and Dexter. Kelli runs many half and full marathons. She's got tons of energy! Kelli’s favorite foods are steak, pizza, and Taco Treat, and her favorite place to enjoy those foods is on the beaches of Hawaii! Melissa’s back! After a brief hiatus from Lineberry Orthodontics, she’s returned and is our treatment coordinator. You may remember her sitting at the front desk in the past. Melissa is busy at the office but even busier being a soccer mom. Berkleigh, Addyson, Boston and Acelyn are all soccer players, so she’s running back and forth to the fields a lot! Notice the B-A-B-A pattern of the kids’ names? She did that on purpose. She’s also got fur babies, a Golden doodle named Chewy and a Lab named Winnie. Boston likes Star Wars and Chewy is big and fluffy, so he’s named after Chewbacca. Melissa is married to a great guy named Kevin, who happens to be Dr. Lineberry’s husband David’s nephew. So Melissa and Dr. Laura are related, kind of. Diane is our California Girl! 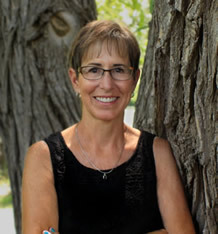 Diane was raised in Solvang, California and graduated from Santa Ynez Valley Union High School. She went to Southern California School of Dental Assisting and has more than 46 years of experience as an orthodontic assistant! She has recently retired, but she still comes to visit alot and she trains our new assistants. 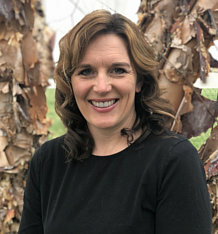 Diane’s favorite part about working at Lineberry Orthodontics is that she loves being a part of creating beautiful smiles and the joy she helps to bring people in doing just that. She loves the atmosphere and the fantastic people she works with so much at Lineberry Ortho that she promises to never ever retire. But she did. We miss her. Codi is our Marketing Coordinator and she’s got dentistry in her blood (by marriage) as her Father-in-law is Dr. Richard Galloway. She’s married to Scott and together they have four amazing kids. Palmer is 16, followed by Ellie who’s 14, then there’s Dallin who’s 12 and then along came Gunner, who’s 2. Wait…what? Gunner’s adorable and he’s the center of attention in the Galloway family as you can imagine! She also has a Wheaten Terrier named Bear. He was the baby of the family until Gunner arrived. We’re guessing he’s okay with it. 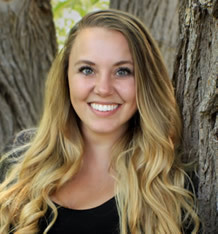 Codi is a Boise native, graduating from Centennial High School and then earned her B.S. in Education from Brigham Young University. She loves working at Lineberry Orthodontics because she loves seeing the huge grins on debond days when braces come off! She also loves to bike, run, ski and read. In fact, her favorite place to vacation is Moab, where she loves riding her bike along the red cliffs. She’s also keen on going to Europe as long as she has a good sitter to stay at home with Gunner. Well, all the kids, but we’re guessing Gunner requires the most babysitting! Codi may just fly herself to Europe as she loves to fly! Her dad, uncles, and grandpas were all pilots so she used to get a lot of air time. In fact, she once got to ride in the backseat of a Citabria during an airshow. She maintained a huge grin as the plane was flipping and rolling through the air. We’ve decided she earns the prize for the most daring team member. Seth is Dr. Lineberry's oldest child. He's going to be a senior at Bishop Kelly High School next year! 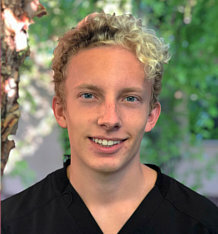 Seth is our acting Sterilization Assistant when he's on vacation from school and during summer breaks. Seth recently returned from a mission trip to Haiti through Haiti 180. Luckily, his BK group went early enough in the summer and returned before the riots started in Haiti that left some groups stranded. He is eager to go back next year as he has found Haiti to have a place in his heart and he plans to go back as often as he can as an adult. Seth has many hobbies, but his favorite one is snowboarding. He's an excellent student and loves physics. Seth is leaving in the fall for West Virginia University and was accepted into the Honors College. Dr. Lineberry did her residency in Orthodontics at WVU so she's really excited that Seth is going to follow in her footsteps. Go Mountaineers! David brings a wealth of knowledge to our team because he’s an expert not only in computers, but inventory management and QuickBooks. He’s also an excellent handyman and eager to fix things around the office that stop working from time to time. David is Dr. Lineberry's husband. Dr. Laura and David graduated from Payette High School together in 1987! After 25 years working in industrial sales, David hung up his hard hat to help in the family business. When David isn’t at work, he’s happily camping, skiing, fishing, or watching one of the kids play sports. He also enjoys coaching and not only used to coach his son in football, but he was the freshman boys basketball coach at Payette High School for several years. David is also a grandpa to three great kids, Emmett, Evyn and Maddox. He's the best Grandpa around, just ask them!